Tobacco is the leading cause of death and disability worldwide. It is responsible for more than 5 million deaths every year. If we fail to act now, tobacco will be responsible for the deaths of 650 million people alive today and, by 2025, more than 10 million people each and every year. 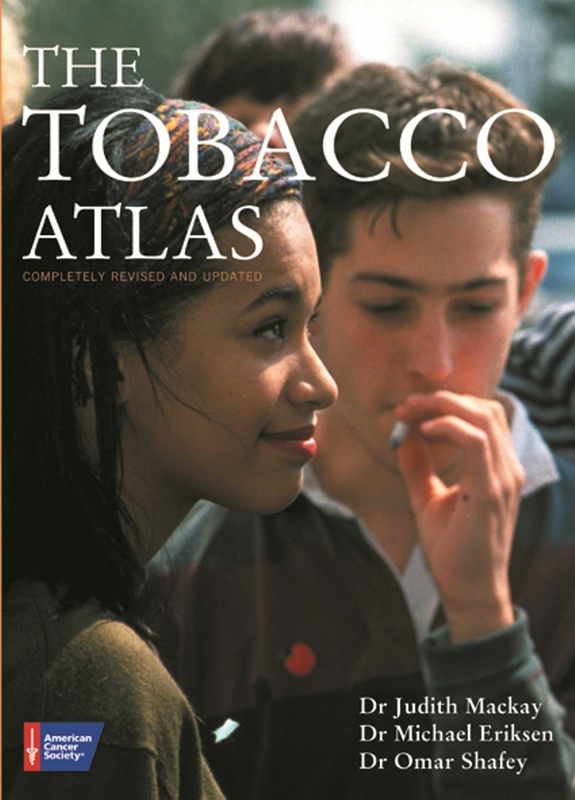 The latest edition of this groundbreaking atlas gives shape and meaning to statistics about tobacco use and control. Full-colour maps and graphics illustrate in a clear and accessible format the wide range of tobacco issues, revealing similarities and differences between countries, and exposing the behaviour of the tobacco companies. It also examines solutions and predicts the future course of the epidemic. Topics include: Prevalence and consumption; Youth smoking; Health risks and mortality; Economic costs of tobacco; Passive smoking; Growing tobacco; Manufacturing cigarettes; Global trade; Tobacco companies; Marketing and lobbying; Legal regulations; Health education and quitting; Taxation and smuggling; The Framework Convention on Tobacco Control. The Tobacco Atlas is excellent. We do a research unit with Year 8 in science, looking at smoking and linking it to citizenship and it is going to be really useful for this topic. The Tobacco Atlas highlights, in an educational and creative fashion, diverse features of this important global epidemic. This beautifully-produced paperback provides readily accessible data on all aspects of the tobacco problem...an invaluable source.